The attack happened at an above-ground site that had no fencing or other security, southeast of Sioux Falls last Friday. "When deputies arrived, they observed what appeared to be a hole in the pipe, and it looked like there was burn around the hole," Lincoln County Sheriff’s Deputy Chad Brown told AP, adding it was possible the vandalism was carried out with a blowtorch. Local and state officials are investigating the incident and have notified the FBI. Pipeline developer Energy Transfer Partners said in court documents Monday that there have been “coordinated physical attacks” along the $3.8 billion pipeline that will carry oil from North Dakota to Illinois, but did not provide any further details. In Iowa, the Mahaska County Sheriff’s Department confirmed Tuesday there was damage to a safety check valve along the pipeline. The sheriff said it looked like someone had also used a blowtorch to damage the safety valve. The incident was first report March 13. The sheriff’s department has increased patrols around the pipeline. The investigation is ongoing. 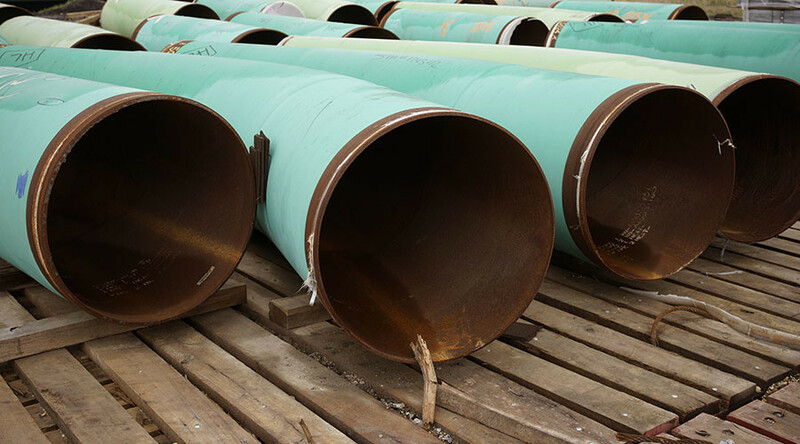 Jan Hasselman and Nicole Ducheneaux, attorneys for the Standing Rock and Cheyenne River Sioux tribes, who are leading the legal battle against the pipeline, said the tribes don't encourage or condone acts of violence against pipeline property. Environmental activists who tried to disrupt some oil pipeline operations in four states last year to protest the flow of tar sands oil said Tuesday that they weren't responsible for any recent attacks on that pipeline. In October, Climate Direct Action activists tried to shut valves on oil pipelines in North Dakota, Minnesota, Montana and Washington. They filmed their activism and posted videos on social media. Nine people were arrested, and activists are now facing felony charges in several courts over the incidents. In the first of such cases, a mistrial was declared in early February in the criminal proceedings against environmental activist Ken Ward, who was facing three felony charges after he shut off a valve on the Washington state pipeline to stop the flow of tar sands oil last October. The Skagit County jury couldn’t reach a verdict on any of the charges after deliberating for five hours, following a two-day trial. Ward was facing charges of burglary, criminal sabotage and assemblage of saboteurs. “I don’t have any regrets and think it is right thing to do,” Ward said. He added he had been working on environmental issues for the past 40 years and on climate change for the last 15 years. “It is clear to me that engaging in this kind of non-violent civil disobedience on climate is by far the most effective thing one can do by almost any measure,” he said.